Say goodbye to boring folding tables and chairs and take your special day to the next level with hip furniture from Mood Party Rentals! At Mood, you can find truly unique, swanky furniture and accessories that are sure to make your reception stand out from the rest! We love their selection of sleek lounge furniture that allows guests to relax and mingle as they dance the night away! 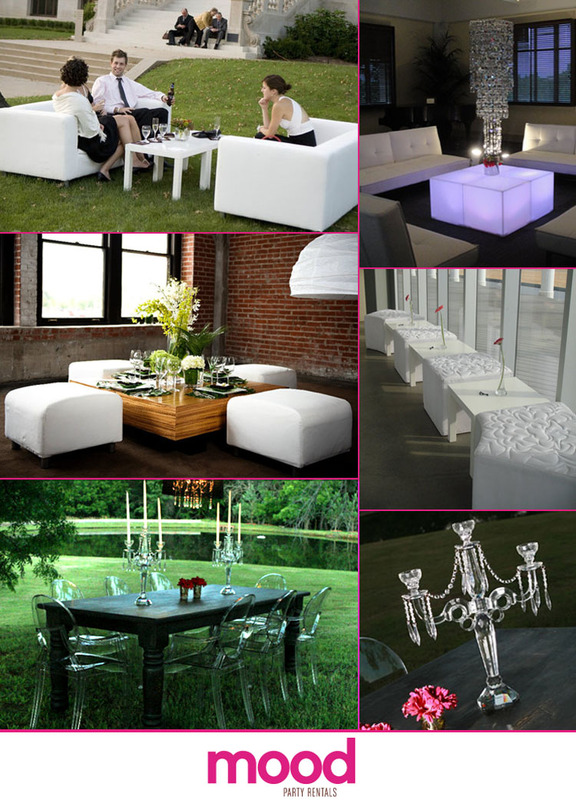 We also love their impressive lighted acrylic furniture that can be set to any color you desire! Be sure to check out Mood Party Rentals in Oklahoma City or give them a call at 405.840.2081. Happy Friday!